At the Council’s most recent Legislative Meeting, two measures designed to work around potential future federal government shutdowns advanced through the legislative process, as did the latest piece of sports wagering legislation. The Council was grateful to see the 35-day federal government shutdown come to an end on January 25, but the relief brought about by the government’s reopening was tempered by the fact that, absent a longer-term solution, the shutdown could begin anew on February 15. As a result, the Council pressed ahead at the most recent Legislative Meeting with two solutions discussed during a January 25 Council roundtable on the shutdown. 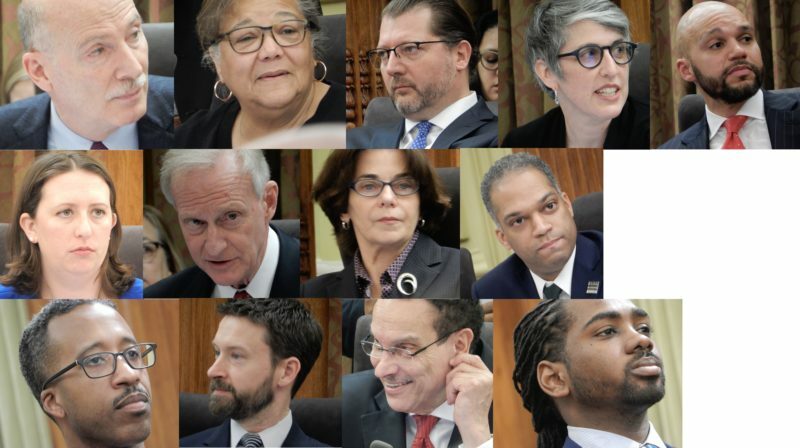 First, the Council passed a measure on an emergency basis clarifying current unemployment insurance law to make clear that during a shutdown, even those employees deemed essential, who are required to work despite not getting paid, are eligible to collect unemployment during government shutdowns. Second, the Council built on legislative action begun at its prior Legislative Meeting, taking the next step in the legislative process towards banning furloughed federal employees from being evicted or foreclosed on during a government shutdown. The most recent action expanded the measure to include members of the public defender service, who were inadvertently excluded from the prior drafts of the legislation. The goal is to have these measures in place both for what may come on February 15 as well as for any future shutdowns that are hopefully many years in the future. Also passed at the most recent meeting was a measure to sole-source procurement for sports wagering. The measure legalizing sports wagering itself was introduced last September, had a hearing in October, and was approved by the Council on December 4 and December 18. Regarding the implementation of sports wagering, an initial effort to legislatively bypass traditional procurement practices at the Council’s first meeting of the calendar year was postponed to allow for a public hearing on the topic. With that hearing having been held earlier in the week, the Council was able to proceed with the sole-sourcing bill, which passed its first of two necessary legislative hurdles by a 7 to 6 vote. Leading up to the most recent meeting, much public and social media discussion revolved around whether funds dedicated to the renovation and expansion of the Fort Dupont ice rink would be diverted instead to fund school repairs. As a result of negotiations between the Council and the Administration, discussions regarding binding commitments to carry forward funding for the rink into next year will be ongoing, and the topic will be revisited at an Additional Legislative Meeting scheduled for February 19. For a full list of all votes taken at this meeting, please click here. An Additional Legislative Meeting will be held on February 19. The next regularly scheduled Legislative Meeting will be held on March 5.